PERTH PHOTOBOOTH HIRE. PRINT THE MOMENT. 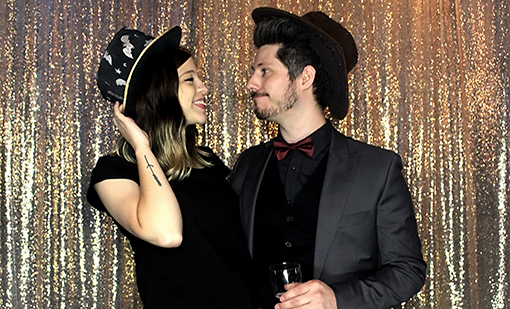 Hiring one of our classic photo-booths for any Wedding, Party or Event not only adds a bunch more fun and excitement, it truly looks the part. 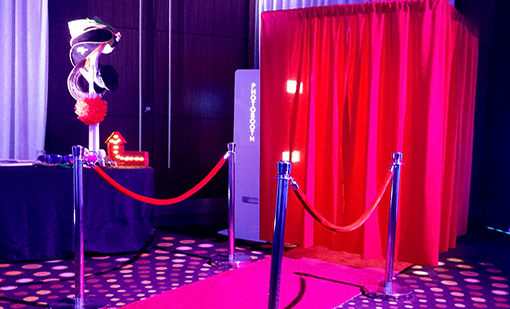 With a glamorous red carpet and queue bollards, stylish red curtains and a sleek design. Your guests will be itching to get up and start creating some photo-strip masterpieces. We also have special deals with our DJ packages. 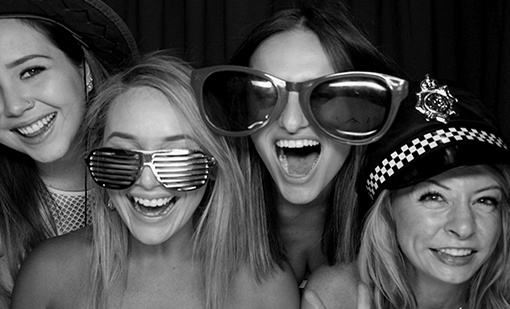 We have created open-style vintage photobooths with lots of ways to customise your backdrop. Festoon lights add a nice touch to the backdrop or even gold sequins if you prefer a sparkly finish. 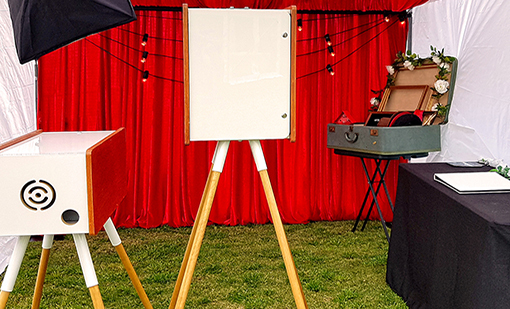 Simply jump behind the vintage style photobooth setup, strike a pose and print some boothing masterpieces! Our Boooths have the latest Cannon DSLR digital cameras, meaning every shot is captured perfectly with a sharp image. As many people from a photographic background will agree, the most important thing with any photo is light. Our Photobooths use studio lighting setups, which guarantee's great photos, all you have to do is get in the booth and strike a pose! We also provide access within 7 days of the your event to download a copy of all the pictures taken. Get creative! Use black and white, sepia and more special filters. You can even record special video messages throughout the event. A great way to spread the fun and excitement. Within days of your event, we provide access to a beautiful modern style online gallery, with all your photobooth pics from the event. Here you can download a high resolution copy of all the images, create favourites lists and share via email or any social platform. There's nothing better for adding to the fun than some hilarious props. Whether it’s some retro glasses, a stylish wig, or a chalk board, it always gets people into the creative mood. If you’re after some special props we can even arrange some to match your theme.